The model of community-supported agriculture (CSA)–where members pay farmers a certain amount up front in order to get a share of the farm’s produce for the year–has been growing in California’s Central Valley, according to a new study published in the University of California’s California Agriculture journal. Between 1990 and 2010, CSA membership in this area increased by 49 times, from about 672 members in 1990 to 32,938 members in 2010. The study found two main types of CSA: the “box” model and the “membership/share” model. The “box” model is a subscription to the farm. Members pay up front, but the payment period varies from a week to a full season. The “membership/share” model, on the other hand, enables customers to make an up-front membership or share payment. Members give the farmer some amount of money and, in exchange, the members receive credit for use at the farm’s farmers’ market stand, U-pick, or other means of sale. With share payments members can also sign a contract to own a share of farm animals, and the money from the share covers the animal’s feed. The member is then able to purchase that animal’s products. This model is rare compared to the box model, and only four of the 48 CSAs in the study used the “membership/share” model. According to the study, 54 percent of the CSAs were profitable and, out of the rest, 32 percent broke even and 15 percent operated at a loss. The average gross sales per acre was $9,084, which is almost seven times the average for California agriculture generally. The study found that the CSA was “…a crucial direct-to-consumer marketing channel for the small- and medium-scale farmers” in the study. Generally, small-scale farmers were more dependent on CSAs than larger-scale farmers. Many of the farmers in the study chose the CSA model as a way to diversify their income sources. Some did not have access to wholesale organic markets, while others wanted to increase their revenue beyond farmers’ markets and other direct sales. Many farmers responded that one of their motivations for starting a CSA was the advantage of being paid up front before the growing season and thus knowing sales volumes ahead of time. 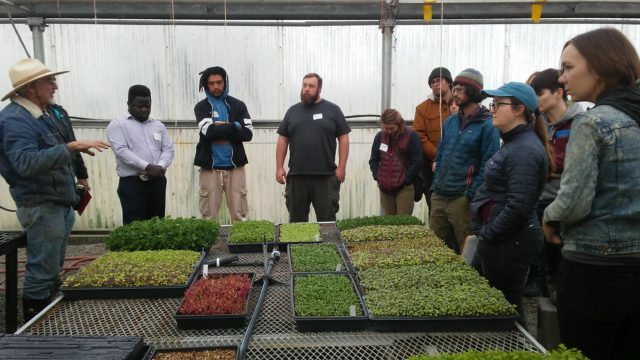 When the farmers were asked about their motivations for doing a CSA and the general philosophy behind their farm, many weren’t interested only in maximizing profits. Instead they said they loved farming and felt satisfied providing fresh produce to their customers while making a positive change in the world. Some of the farmers in the study ran their CSAs to make money, but they all did so in the context of providing social and environmental benefits. CSA farms are generally based on agro-ecological methods. Two-thirds of the CSA farmers in the study use cover crops as “green manures” to fertilize the soil. The CSA farms surveyed also demonstrated a high amount of agro-biodiversity, growing on average 44 crops and raising three different kinds of livestock. In general, the CSA farmers were conscious of the resources they used, such as fossil fuels, packing materials, electricity, etc. Forty-five percent of the CSAs were certified organic, but 87 percent of farms reported that they met or exceeded National Organic Program (NOP) standards. This study of California’s farms presents a hopeful picture of CSAs and offers interesting insights for the rest of us in other regions of the US to consider as we plan and market our own products.